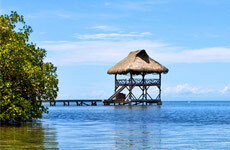 Central America is a tropical treasure tucked away between North and South America. Famous for rain forests, cloud forests, volcanoes, mountains, and amazing beaches, Central America is the perfect place for a getaway. 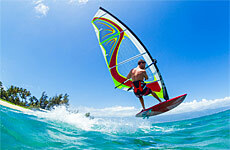 Surfers flock to the amazing beaches in Honduras, Nicaragua, Costa Rica and El Salvador. The second largest rain forest in the Western Hemisphere exists in Central America. 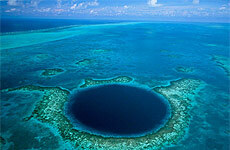 You'll also find ancient Mayan ruins in many of the areas in Central America. 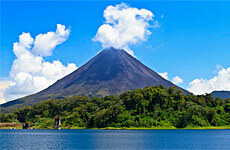 Visit a cloud forest in Honduras or Panama, touring high up into the mountains through the clouds! Don't forget about Lake Atitlan in Guatemala, a volcanic lake with three volcanoes around it, said to be one of the most beautiful places in the world! 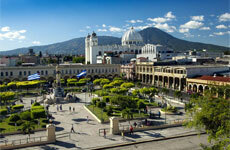 Visit Colonial towns and get swept away in the culture. Whatever you're looking for, you'll find it in Central America.